Is the highest honor in franchising, because it is based upon a confidential vote of a brand’s own franchisees. Is research documentation of extraordinary franchisee satisfaction. Is a badge of honor for franchisees, executives, and staff. 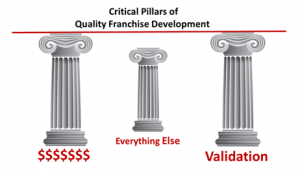 Can be a game changer for your franchise development. Franchisee validation is based upon scientifically-gathered data from the entire system, not a just handful of testimonials. Transparency is more meaningful when documented by a third party, with high response rates (70% or above). Differentiation: it can “tip the scales” in your favor during candidates’ due diligence process, and supports development efforts with sales staff and with franchise sales consultants. Recognition includes a company information page on the World-Class Franchise website, with a link to your company’s franchising website or page. Franchisee candidates have direct, unbiased access to your company’s outstanding satisfaction validation. You receive instant notifications of each report request (with candidate contact information). World-Class Franchises are featured in national publications (such as USA TODAY). Your company has unlimited use of the World-Class Franchise seal in all print and digital media. Co-op advertising opportunities with other World-Class Franchises, in publications (such as Forbes, The Franchise Handbook, and Entrepreneur). 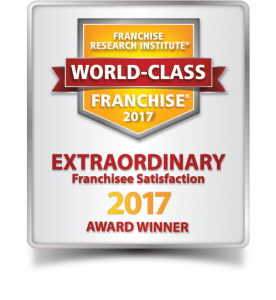 Your franchise opportunity can be featured in an optional, customized video testimonial by Jeff Johnson, founder and CEO of the Franchise Research Institute. 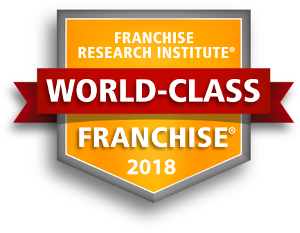 There are many “Best” and “Top” lists in franchising, but certification as a World-Class Franchise is the only recognition based upon comprehensive (every franchisee contacted), confidential (no risk for negative responses, no reward for positive), published, science-based methodology. World-Class recognition means membership in an elite group of franchise opportunities (the top 1% of more than 3,000 available in North America). When every brand is claiming they are the best…World-Class can be the differentiator you are looking for! FranchiseGrade surveyed 150 franchise experts (2015) and found that independent franchisee satisfaction data was ranked more important than an FDD providing an Item 19 FPR (Financial Performance Representation). World-Class is the Gold Standard for franchisee Validation!